My Plans for March 10, 2011. When Kate Bingaman Burt asked if I could come in and speak with her graphic design students at Portland State University, I said “Sure!”. Growing up in a one-horse town, I remember the excitement of having visitors come to tell us Real Life Stories of Grandeur from the World Out There. Actually, nobody ever came to visit us in my one-horse town, but I wish they had. 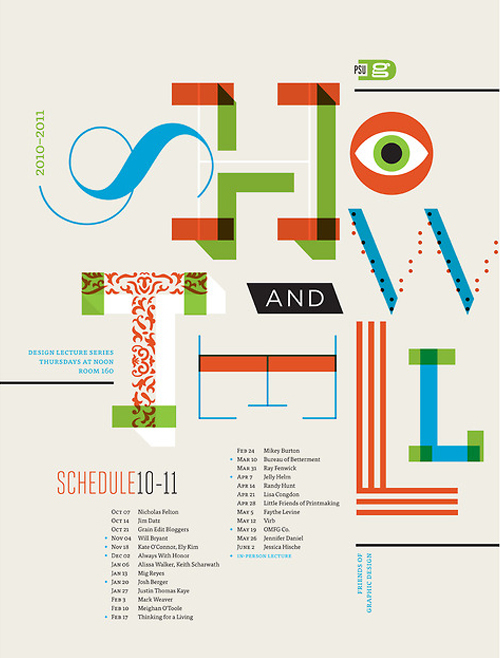 Which is why next March 10, 2011, I’ll be one of the many illustrious show-and-tell participants at PSU. It’s never too late to learn something new…I’m sure I will, come next March. You neglected to mention that that one horse was yours.